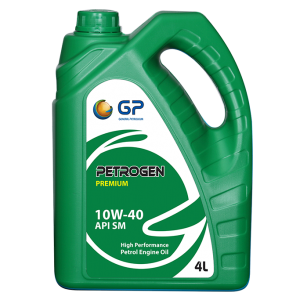 GP DEOGEN FULLY SYNTHETIC multi grade diesel engine oils are specially formulated with synthetic and highly refined mineral base stocks and high quality additives for vehicles & equipments operating under heavy load and tough long distance operating conditions. 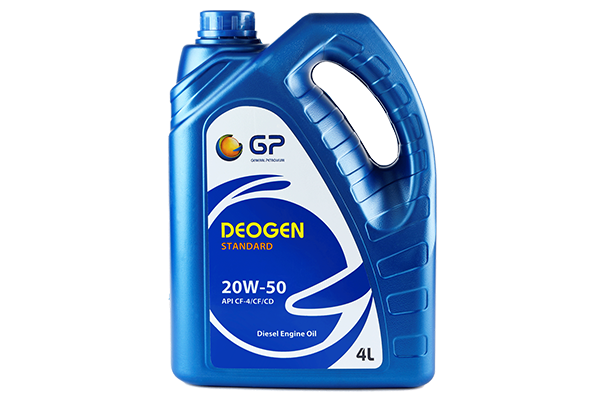 GP DEOGEN FULLY SYNTHETIC multi grade diesel engine oils are specially formulated with synthetic and highly refined mineral base stocks and high quality additives for vehicles & equipments operating under heavy load and tough long distance operating conditions. They meet and exceed the specifications cited herein. 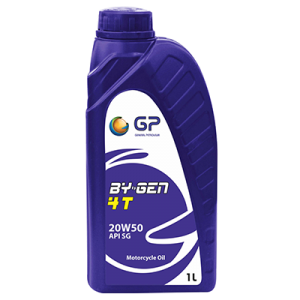 It provides excellent engine protection, low oil consumption and longer drain intervals. Effective dispersants and detergent additives ensure a clean engine. It can be used in all the latest naturally aspirated or turbo charged diesel engines. GENERAL DEOGEN SEMI SYNTHETIC multi grade diesel engine oils are specially formulated with synthetic and highly refined mineral base stocks and high quality additives for vehicles and equipments operating under heavy load and tough long distance operating conditions. They meet and exceed the specifications cited herein. It provides excellent engine protection, low oil consumption and longer drain intervals. Effective dispersants and detergent additives ensure a clean engine. It can be used in all the latest naturally aspirated or turbo charged diesel engines. GP DEOGEN Premium diesel engine oils are specially formulated with extra refined base oils and superior quality additives for vehicles and equipments operating under heavy loads and severe long distance operating conditions. It contains high quality detergents, dispersants, anti oxidants, besides rust and corrosion inhibitors. It meets and exceeds the specifications cited herein and provides excellent engine protection and low oil consumption. It is recommended for all the latest naturally aspirated and turbo charged diesel engines. 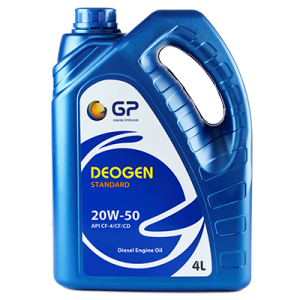 GP DEOGEN STANDARD diesel engine oils are specially formulated for vehicles and equipments operating under moderate to severe operating conditions. They meet and exceed the specifications cited herein and provide excellent engine protection and low oil consumption. Effective dispersants and detergent additives ensure a clean engine. It can be used in all the latest naturally aspirated or turbo charged diesel engines.